Recently, Mix Creative had the pleasure to work with Minnesota Women in Networking’s 2012 Destined to WIN recipient, Deb Brown of Time Creators. Deb came to us looking for an innovative direct mail campaign that she could send out to a select group of prospects in her target market, most of whom signed up to receive more information at one of her sponsor booths at networking events for women business owners. Time Creators specializes in taking on the little things so [business owners] can do big things. “Little things” include some business-related, but more frequently personal tasks that would otherwise consume hours set aside for work. In essence, she provides the gift of time, allowing business owners to be more productive. 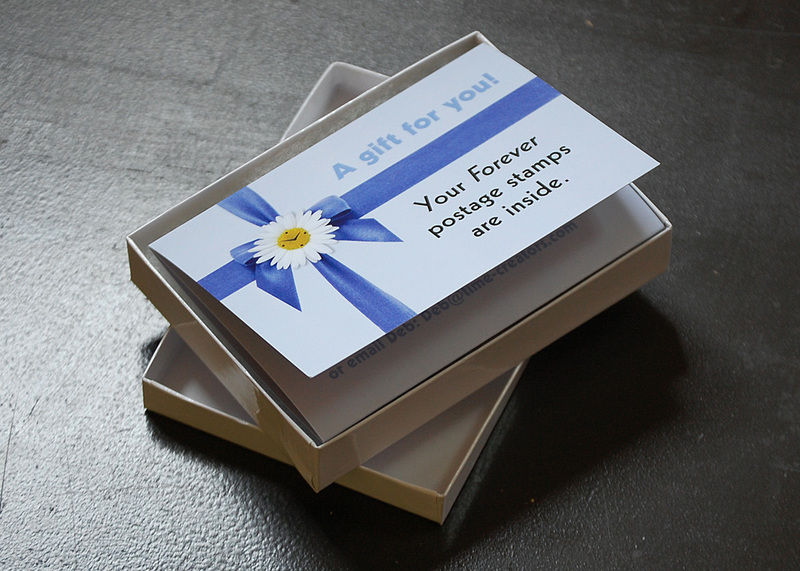 In brainstorming ideas for the mailer, we came up with the fun idea of literally giving gifts of real value that would result in saving time for the recipient. We liked the notion of having a package that the recipient could open, knowing how much fun it is to receive and open a gift. The first mailing, a notepad marked with grocery sections to make shopping easier, set the tone that future gifts would be of equal or greater value. 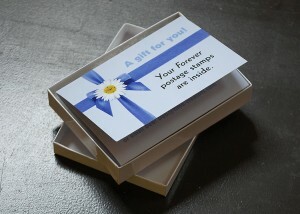 A second mailer (shown below) included a small book of stamps, and the final gift (also shown below) presented a gift card to try Time Creators for three hours free.